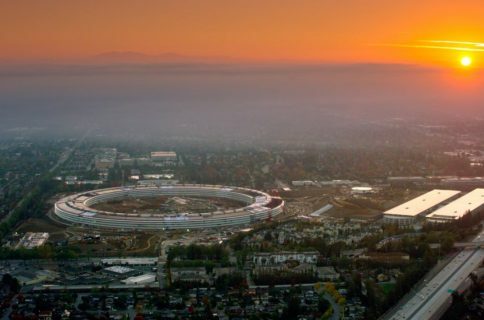 Apple announced this morning that its new 175-acre Apple Campus 2 aka iSpaceship has been officially named Apple Park. It will be ready for more than 12,000 employees to begin occupying in April although the move-in process will take over six months with construction of the buildings and parklands continuing through the summer. 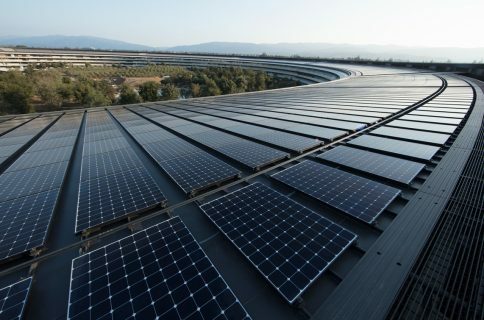 Powered by renewable energy, it’s one of the most energy-efficient buildings in the world, the iPhone maker said. The company is also honoring Steve Jobs by naming a massive auditorium the Steve Jobs Theater. Situated atop a hill and overlooking meadows and the main building, the 1,000-seat underground auditorium is opening later this year and will host future press and corporate events. The entrance to the auditorium is a 20-foot-tall glass cylinder, 165 feet in diameter, supporting a metallic carbon-fiber roof. 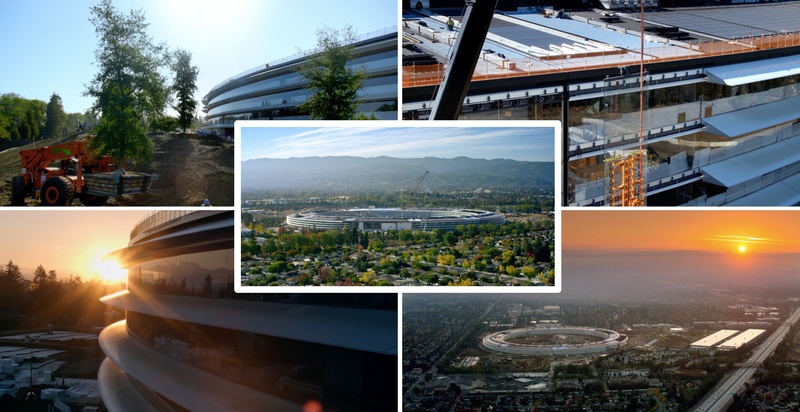 Envisioned by Steve Jobs as “a center for creativity and collaboration” and designed by Jony Ive’s team and Foster + Partners, Apple Park is transforming 5 million sq ft of asphalt and concrete into a “haven of green space” in the Santa Clara Valley’s heart. Over 9,000 native and drought-resistant trees have been planted on the site. The main 2.8 million sq ft building is clad entirely in the world’s largest panels of curved glass. 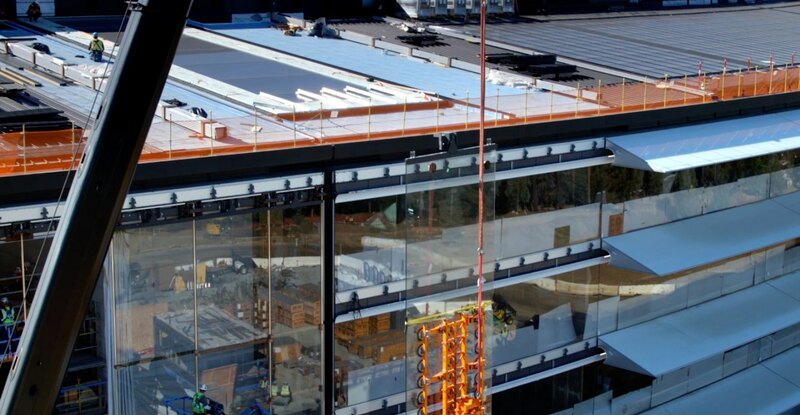 “There is not a straight piece of glass in this building,” Jobs said when presenting plans for the new campus at a Cupertino City Council meeting on June 8, 2011. It was Jobs’s last public appearance before he passed away. Among the perks available to employees: two miles of walking and running paths, including an orchard, meadow and pond within the ring’s interior grounds. The campus will run entirely on renewable energy, thanks to the 17 megawatts of rooftop solar (one of the largest on-site solar energy installations in the world) and fuel cells. 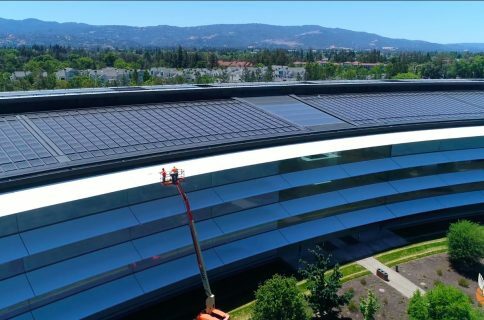 Another fun fact: Apple Park files as the world’s largest naturally ventilated building— it requires no heating or air conditioning for nine months of the year. 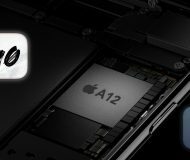 Here’s a little promotional video the Cupertino firm put together. Steve was exhilarated, and inspired, by the California landscape, by its light and its expansiveness. It was his favorite setting for thought. 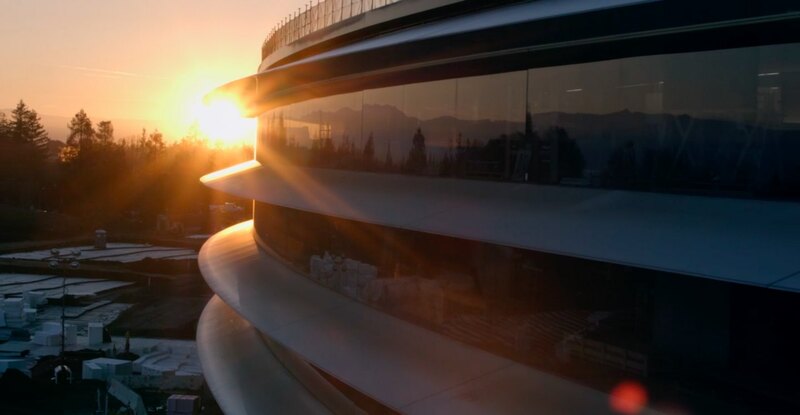 Apple Park captures his spirit uncannily well. 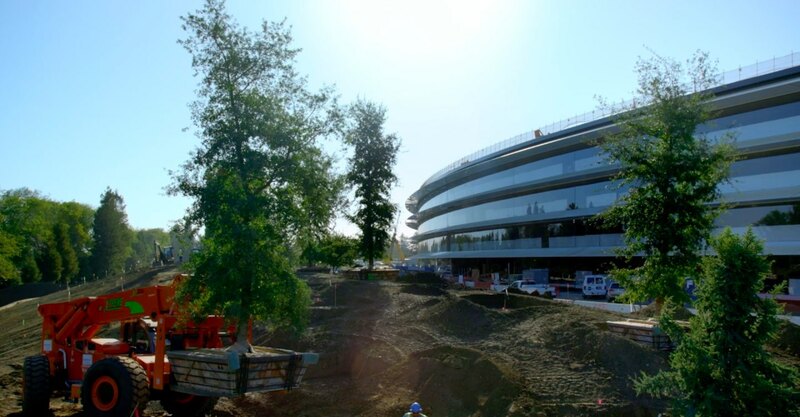 He would have flourished, as the people of Apple surely will, on this luminously designed campus. This is the entrance to the Steve Jobs Theater. Steve invested so much of his energy creating and supporting vital, creative environments. We have approached the design, engineering and making of our new campus with the same enthusiasm and design principles that characterize our products. Connecting extraordinarily advanced buildings with rolling parkland creates a wonderfully open environment for people to create, collaborate and work together. We have been extremely fortunate to be able to work closely, over many years, with the remarkable architectural practice Foster + Partners. It’s a hell of an office building, I’ll give them that. 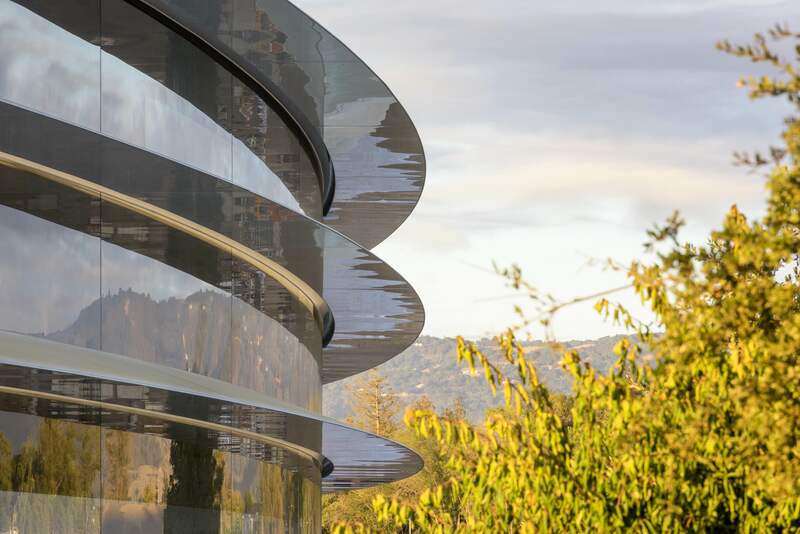 Aside from the main ring-shaped structure and supporting buildings, Apple Park includes secure research and development facilities, a visitor center with an Apple Store and cafe open to the public and a 100,000 sq ft fitness center for Apple employees. By the way,Steve would have turned 62 this Friday, February 24.